Our side seal strapping machines offer a wide range of possibilities when it comes to heavy-duty strapping applications. Designed to keep dust and debris away from the strapping head, these models are excellent as either a standalone solution or as part of a fully automated conveyor system. 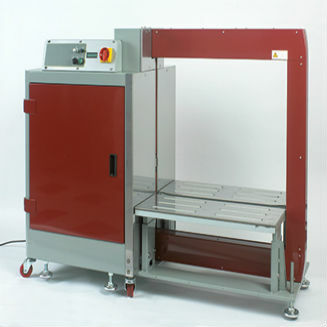 In side seal strapping machines, the strapping head is located on the side of the unit, allowing parcels, bundles, and other items to be strapped lower to the ground—excellent for heavier packages or for conveyor belts that are lower to the ground. The SM60 can be configured to be used as part of a fully automatic conveyor belt system, or you can use it with a roller table. The standard version operates efficiently on its own, and the fully automatic can be easily integrated into conveyor systems. 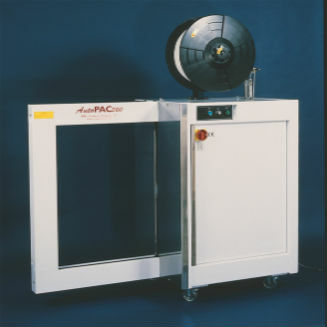 For more information about our side seal strapping machines and how they can benefit your business, contact PAC Strapping Products today.